Since you are a medical consumer, we want you to be aware of a new ruling in Arizona. On October 22, the Arizona Physical Therapy Board adopted “dry needling” as part of their scope of practice. This ruling will have an effect on patients and create a larger need for medical consumers to be diligent in checking the training of professionals who they decide to see. The Physical Therapy (PT) Board decided to change the law and expand the profession’s scope of practice through a vote of the Board. This action is unprecedented because a regulatory board cannot simply declare that something is within the law without going through the proper legal and legislative process. Rather than acting as a regulatory board that is supposed to serve the public and ensure public safety, the PT Board has confirmed by its decision that it is more interested in acting as a trade association for physical therapists. That means there is no independent entity that is working to regulate physical therapists in this state and ensure that Arizona’s citizens are safe from physical therapists who decide to engage in invasive procedures without baseline training and education. The PT Board declared by a unanimous vote that “Dry needling is within the scope of physical therapy.” Dry needling is the insertion of thin, solid needles into a person’s skin to effect a therapeutic response. It is an invasive procedure because it entails the puncturing of skin with needles. However, the PT Board did not adopt any training or education requirements for the practice of dry needling and, in fact, reacted hostilely to the idea that the Board should set minimum standards for its licensees. Instead, the Board advocated for self-regulation saying multiple times that each physical therapist should decide how much training he or she needs, and that it is “incumbent on them to know what they know and know what they don’t know” and seek the level of training that he or she deems appropriate.” No other regulatory board in this state permits its licensees to self-regulate. That is the whole point of a regulatory board. Further, all other health professions in Arizona that are permitted to practice the invasive procedure of puncturing the skin with thin, solid needles (examples include MD, DOs, and Chiropractors) are expressly authorized to do so in state statute or regulation. Those professions having minimum education and training requirements. PTs are not among those professionals, and PTs do not have any education or training requirements. Yet, the PT Board has now declared that it is now part of the PT’s scope of practice in Arizona to perform invasive procedures on patients. The citizens of Arizona should be very concerned. The end result of this new ruling is that Physical therapists will be allowed to continue to administer the treatment of “dry needling” with a mere 16 hours of training. As Acupuncturists, we do not believe that 16 hours is adequate training; our goal is to be sure our patients are aware of this as well. Licensed Acupuncturists spend considerable time in training to learn skills and techniques that will best assist their patients. Currently, the Arizona Acupuncture Board of Examiners requires Acupuncturists to complete 1,850 hours of training, which includes 800 hours of clinical training, and a clean needle technique course, graduate from a Board approved program in Traditional Chinese medicine and Acupuncture, and receive certification by the National Certification Commission for Acupuncture and Oriental Medicine (NCCAOM) or pass the NCCAOM exams to obtain a license. This is in sharp contrast to the minimal 16 hour requirement for physical therapists to administer “dry needling”. Part of the beauty of Acupuncture is the lack of side effects and the safety of treatment in the hands of a fully qualified individuals. This does not hold true when performed by those with limited training; 16 hours is certainly not enough time to understand the nuances of needling techniques, the tenants of traditional Chinese medicine, safety protocols, and diagnostic criteria. Don’t fall into a trap of being treated by under-trained practitioners. 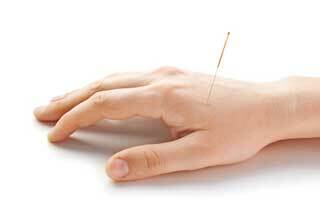 For any treatment that entails needling of any sort, be sure you are seeing a fully trained and licensed Acupuncturist. Please pass along this information to your friends, so they also will be aware of this new ruling in Arizona.